We help you to design the best cardboard box to fit your needs. We think not only outside the box, but inside too, to protect what is most important, your product. Our team of engineers, graphic designers, and marketers provide in-person quality control and responsibility for the entire manufacturing and distribution process until the products arrive to your business. We guarantee low, precise dimensional tolerances. We offer a wide variety of package supplies like edge board, stretch film, labeling solutions, slip sheets and so much more. Conitex Sonoco has 13 manufacturing locations all around the globe with in-country managers to make sure we deliver at the right time, every time. 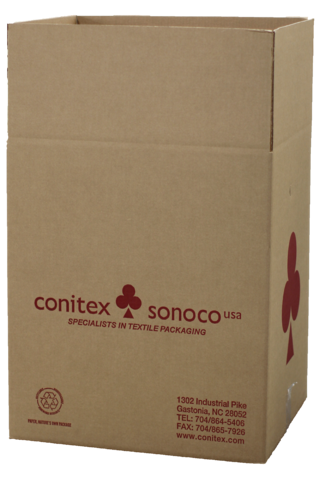 We design cardboard boxes for industries like: automotive, electronics, medical, office furniture, food and the next could be your industry. Additional packaging supplies available upon request. We are more than a protective packaging supplier, we are a business partner. Reach out to one of our customer service representatives with your cardboard box needs, and we will give you a personalized quote.